Our own river on Sanibel Island! The Sanibel River - We wouldn’t be Sanibel without it! One of the things that makes Sanibel Island a truly unique place is that abundance of wildlife. 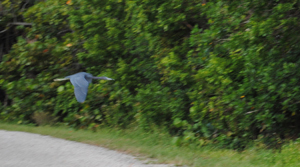 Birds, reptiles, and mammals of all types have made Sanibel home. The reason they can do this and flourish - The Sanibel River. I recently read a really interesting article by Ed Brotak in Times of the Islands that brought forth some very interesting facts about the Sanibel River. • It is actually a Slough, not a river. • There are two Weirs that control the water levels in the river. • SCCF – the Sanibel-Captiva Conservation Foundation was created in 1967 and has as a top priority the preservation of Sanibel’s freshwater wetlands. If you would like to learn more about this unique feature on Sanibel Island, stop by the SCCF Nature Center. From there you can view the river from their Observation Tower and learn more about the ecology of the island. And if you think it's time to become a part of our Sanibel Island lifestyle, I am ready to help you search for the perfect Sanibel Island Real Estate! Just give me a call at 239-691-4915 or use my Contact Form! Our season is in full swing and our weather is as perfect as it can be! No snow, no ice, no winter storm warnings. Come on down and relax on our beaches and enjoy our wildlife!